This visa is for points-tested skilled workers who are nominated by a state or territory government agency. 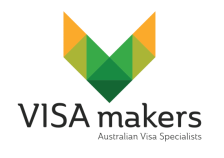 This visa is designed for skilled applicants who submitted an expression of interest (EoI) in Skillselect. You apply to your chosen state or territory government for approval and once approved receive an invitation to apply for the 190 visa. Subject to receiving an invitation to apply, you can make an application for a skilled nominated points tested visa whether in or outside Australia. Permits the holder to travel to and enter Australia for 5 years from the date of grant. It should be noted that individual actual processing times may vary depending on a range of factors. Applicants can be onshore or offshore. Typically, visa holders are required to live and work in their chosen state for a period of 2 years. You have had your skills assessed by the relevant assessing authority. You have submitted an Expression of Interest (EOI) in SkillSelect. You have competent English at time of invitation. You must have applied for the visa in the required time period.